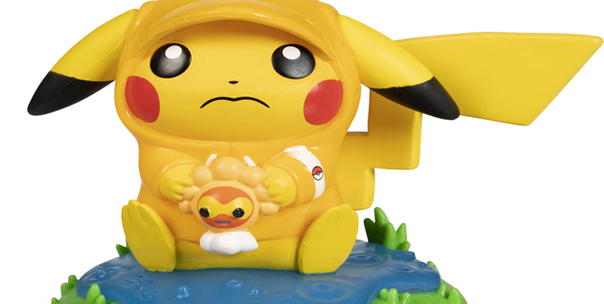 The Pokemon Center Online has added the Pikachu Rainy Day Funko figure! 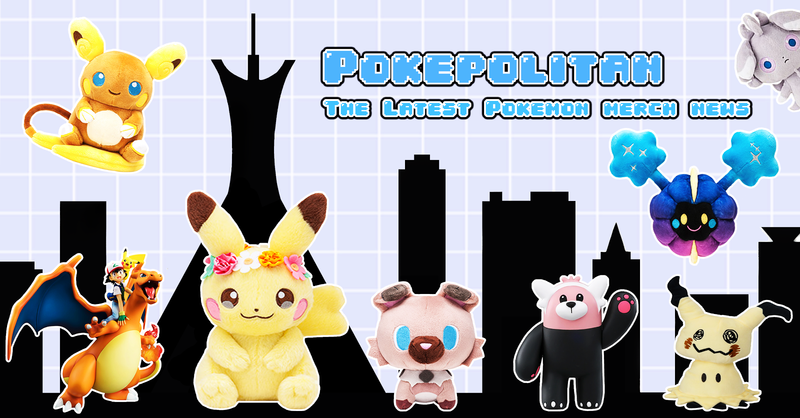 It has been in and out of stock several times already. 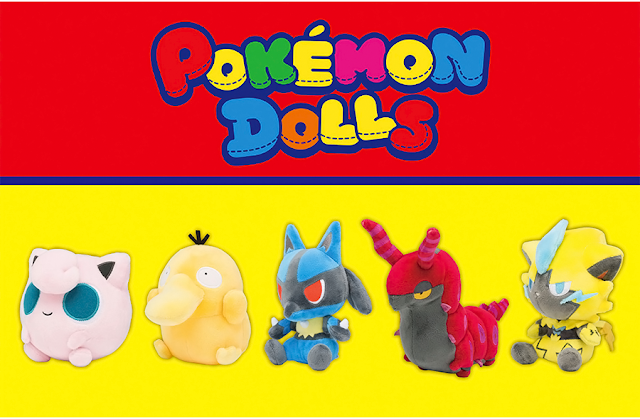 They also released a Team Rocket collection and the rest of the Kanto sitting cuties plushies. Last week they added a Mr. 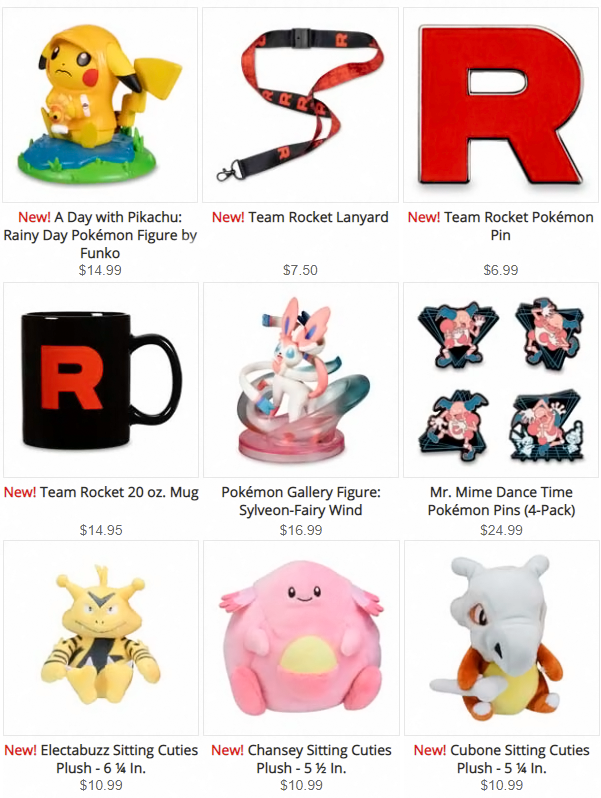 Mime promo and a Sylveon gallery figure.